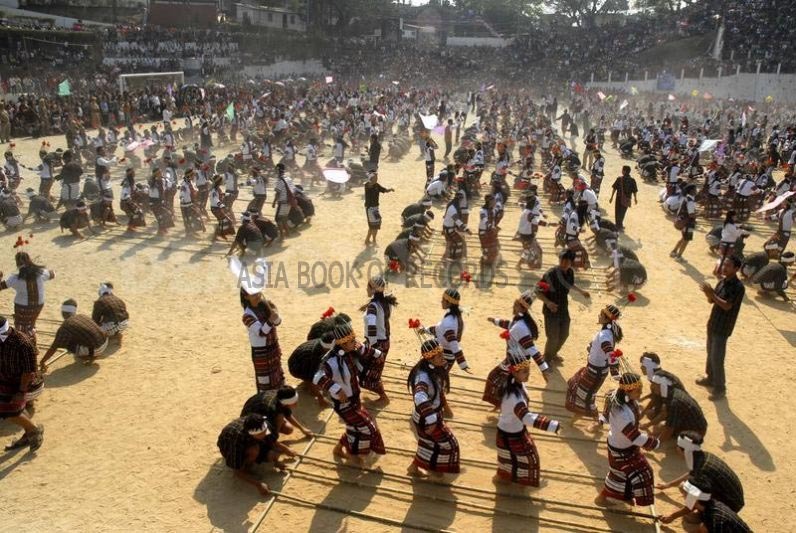 The Government of Mizoram (India) organized an event in which 10,736 dancers participated in bamboo dance (Cheraw), on March 12, 2010, in Aizawl, Mizoram (India). The bamboos were placed horizontally (supported by two bases; one at each end), such that when together they are clapped, a sound is produced to form the rhythm of the dance. Comments for LARGEST BAMBOO DANCE are now closed.